Bioware has announced that it will be hosting a guild summit March 4th-6th in Austin, Texas. They have already sent out some invites to different sized and types of guilds – from PVP, to end game content/operations to the role-playing. 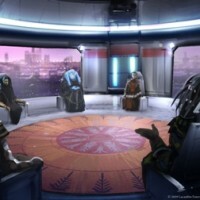 Bioware wants this to be a true roundtable discussion between guild leaders and developers. The focus of the summit is to see what the guilds think of some new guild content they are working on and also what guilds want to see in-game in the future. Space is limited for this event and by invite only, but if you would like to have your guild represented at the summit you can submit an application found at the following link. Please note that you must be at least 21 to attend. For more information you can read more on the official news article. Love, Love, LOVE this idea and that BioWare is working to bring the community even closer. Not only will guilds give them feedback, but they will get to possibly hear the vision BioWare has for guilds. Great job BioWare!